Ron serves as MAPLE's executive director. He received his Ph.D. in cultural studies, teaches communication, conflict resolution, and social entrepreneurship as senior instructor of management at the University of Oregon, and, together with former students, founded MAPLE Microdevelopment in 2008. He also has taught graduate courses in microfinance and development for several summers at Copenhagen Business School, Denmark. He has a passion for working closely with communities to design and implement culturally appropriate, sustainable models for development and for working with youth as the next generation of leaders and social entrepreneurs. Ruth is a Chilean psychologist with a PhD in Clinical Psychology from the University of Salamanca in Spain. She worked at OHSU for fifteen years offering mental health services to asylum seekers from Central and South America. She has collaborated extensively with international human rights organizations in providing culturally sensitive psycho-forensic evaluations. She is the author of a book that documents the experiences of indigenous Mapuche leaders in the justice system in Chile and their search for justice at the Inter American System of Human Rights. In addition, Ruth has been offering expert testimony at the Inter American Court of Human Rights. Currently she is providing therapeutic services at Options Counseling Services in Eugene and traveling to Chile every year to document human rights abuses against indigenous communities and environmental leaders. Ruth has been teaching and offering workshops at graduate and under graduate levels in Chile and in the USA. Ruth is a member of the Maple Board of Directors since August 2013. During her visits to the MAPLE project in LLaguepulli Lof in Chile, she witnessed the deep commitment of the community and MAPLE team with the implementation of the first self-determined Mapuche financial institution. Ruth shares the values of MAPLE; believing in cultural resilience, trusting the capacities of communities to overcome barriers and collaborating for the development of sustainable financial institutions, all which facilitate the expansion of wellbeing for communities and their environment. Jesús Sepúlveda is a Chilean poet who lives in Eugene and teaches Spanish composition, creative writing and poetry at the University of Oregon. He is the author of eight collections of poetry and three books of essays, including his green-anarchist manifesto The Garden of Peculiarities (2002) and his book on Latin American poetry Poets on the Edge (2016). His collection Hotel Marconi (1998) was made into a film in Chile in 2009 and his selected poems were collected in Poemas de un bárbaro in 2013. He is a regular contributor to the magazine Fifht Estate. Sepúlveda’s work has been published in more than twenty countries and partially translated into ten languages, leading him to participate in many poetry festivals and poetry readings throughout the world. Dr. Sepúlveda holds a PhD in Romance Languages and became a board member of Maple in September 2018. Silvia Calfuqueo Lefio has been a teacher for 10 years before she decided in 2014 to stay home with her family and dedicate herself to work on projects in her community. Since then, she joined the management team of the Grupo de Apoyo Mutuo, and together with Nadia, and the Mapuche filmmaker Juan Raín, has collaborated with MAPLE Microdevelopment in documenting the creation of the Grupo de Apoyo Mutuo. Her involvement has been ensuring the group has a self-sustainable business to support the management team and family agriculture. She has also collaborated with the Llaguepulli Community’s School Kom Pu Lof Ni Kimeltuwe and the Mapuche School of Filmmaking, a summer camp for Mapuche youth in the region organized by Mr. Raín in collaboration with Canadian partners. Over this time, she was able to start her Artisan business jointly with other Mapuche women from the region. She is also a talented weaver and mother of three. Viviana Calfuqueo Caniuñir has been part of the management team of the Grupo de Apoyo Mutuo since its formation in 2014, and is currently collaborating with MAPLE in the participatory design and implementation of a livelihoods program in Allipén, a community neighboring Llaguepulli, leading a newly formed Artisan women group, Kazau Zomo, for the revitalization of Mapuche traditional art expressed through textiles and basketry. Through several capacity building and entrepreneurship programs, including those with MAPLE, she has developed excellent leadership qualities. She has also been a Cultural Leader, Parents Association President, and Community Liaison for a road improvement project (2016). She is also a mother of four, a women leader, entrepreneur and skilled weaver of the traditional Mapuche vertical loom weaving, or witral. 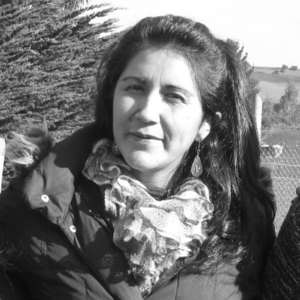 Fresia Painefil Calfuqueo was delegated in 2012 by The Llaguepulli Community as one of MAPLE-Llaguepulli’s team members and has been involved with the project ever since, as part of the preparatory research with MAPLE Microdevelopment in 2013. Since 2014, she has formed part of the Grupo de Apoyo Mutuo’s management team. She has a tourism management degree and 10 years of experience with the Mapuche Lafkenche Lago Budi Tourism Committee, leading Mapuche community-tourism while forming alliances regionally and worldwide. She was part of the International Forum for Indigenous Women in 2016 and has had the opportunity to travel to India, Italy and Canada to participate in forums and conversations about indigenous communities around the world. She is also a Mapuche artisan, a daughter, a sister, and a community leader. Nadia Painefil Curiqueo and her family are pioneering cultural tourism with the Mapuche Lafkenche Lago Budi Tourism Committee since 2008 (lagobudi.cl). In 2012, she was delegated by the Llaguepulli Community as a liaison with MAPLE Microdevelopment. She has since become a leader first in the initial participatory research team with MAPLE in 2013, and since 2014, as part of the management team. Together with Silvia Calfuqueo, and the Mapuche filmmaker Juan Raín, she has collaborated with MAPLE Microdevelopment in documenting reflections of the creation of the Grupo de Apoyo Mutuo. She enjoys sharing with others her Mapuche culture, history and ways of life, and she currently offers a unique demonstration of traditional practice of textiles to visitors, where each symbol has its own meaning. Nadia is a leader in establishing relationships with other First Peoples communities, participating through MAPLE in an exchange of gifts with the Siletz Nation of Oregon in 2015, and in 2016 representing the Mutual Support Group in a tour to New Zealand for exchange of Maori/Mapuche self-development experiences. Ignacio is a Chilean sociologist with over 15 years of experience in rural development collaborating with Mapuche communities. In his college years at the Universidad de Chile (1998-2003) he participated in the defense of the Biobío river, an experience that led him to a deep commitment with the wellbeing and rights of indigenous communities of southern Chile. From 2004 to 2008, he founded and directed an ecotourism joint venture with Mapuche communities focusing on responsible tourism as a means for strengthening indigenous rights. Since 2005, he has conducted participatory academic and applied research on political ecology, indigenous rights, and ecotourism. In 2013, after completing his Masters in Environmental Studies at the University of Oregon, Ignacio moved back to Chile as part of the MAPLE team assisting our community partners in lake Budi region to design and establish the first-ever Mapuche-managed community finance institution. 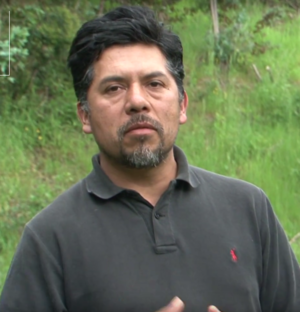 In these last 4 years, Ignacio has also had a key leadership in developing culturally-appropriate environmental and agroecology projects jointly with Mapuche leaders and families and other stakeholders in the region. Alison received her BA in International Studies/Multi-Ethnic Studies and MA (2008) with a focus on Human Rights and Social Justice from The American University, School of International Service, in Washington DC. Born in the U.S., but growing up overseas in Latin America and Africa, she began her career with international development organizations involved in project management, Monitoring and Evaluation, and access to finance initiatives, including SME banking and microfinance projects in Trinidad and Tobago for the Caribbean region. Following her interest in community-led development, she joined MAPLE in 2010 while working for social, cultural and environmental justice projects in Oregon, US. In 2012 she became the initiator of MAPLE’s programs for indigenous self-development in Latin America and since 2013 is co-directing MAPLE’s program in the Araucania region in southern Chile. She has specialized in indigenous development through co-design and participatory implementation of financial and cultural management tools, including strategies to add value to traditional Mapuche arts and textiles and support women entrepreneurs. She has also managed multiple collaborations in Chile and internationally, with partners such as First Peoples Worldwide, The Sacred Fire Foundation, the Latin American Travel Association, Aid to Artisans, VOZ, and the University of Illinois at Chicago, while working closely with MAPLE team in Oregon for developing sustainable community-to-community philanthropy. Fernando Quilaqueo Calfuqueo, born and raised in the Mapuche Lof of Llaguepulli, is an Agricultural Technician with experience collaborating in various productive and cultural projects with Mapuche-Pehuenche Communities in the Lonquimay Mountains and with Lafkenche Communities in Saavedra and Teodoro Schmidt. In search of better job prospects he migrated to the capital Santiago. After more than five years far away from the Community, MAPLE offered him the opportunity to join our team as Field Coordinator for the Program for Strengthening Family Foods and Livelihoods with and work in agroecology and agroforestry, his areas of interest, with the families of his own community, in a project he describes as an “innovative proposal for the development of my own Community”. Fernando and his wife also collaborate with a family tourism business focusing in bird-watching and Mapuche traditional herbal medicine. Within the process of reconstruction of the Mapuche nation, Mr. Rain has assumed a role of communicator. For him, “There is a need for the territory to revalue all aspects of our way of life or vision of the world that we have as a Mapuche people, so I joined this project (MAPLE) because it strengthens our process of visibilizing the mapuche lafkenche economy of Aylla Rewe Budi, an ancestral territorial space that forms part of the Mapuche Lafkenche (people of the sea) located between the river Traitraiko (Imperial) on the north and the river Toltén on the south, corresponding administratively to the communes of Puerto Saavedra and Teodoro Schmidt (IX Region) by the Chilean State. This is where our work of socio-political, cultural and spiritual restructuring of our territory is centered.” It is in this context that Rain has conducted different experiences that aim to revalue the ancestral forms of communication incorporating the new technologies and creating an instance of formation and reflection around the Mapuche communication, addressing the issues of importance for the Aylla Rewe Budi, as the Cultural meaning- historical and spiritual aspects of territorial spaces. Mr. Rain directs "Lafken Ñy Zugvn Comunicaciones", an agency that coordinates audiovisual communicators in his territory. He is also part of Werken Kvrvf community radio and a member of the team that runs and produces "The Ayu Rewe Budi School of Cinema and Communication".